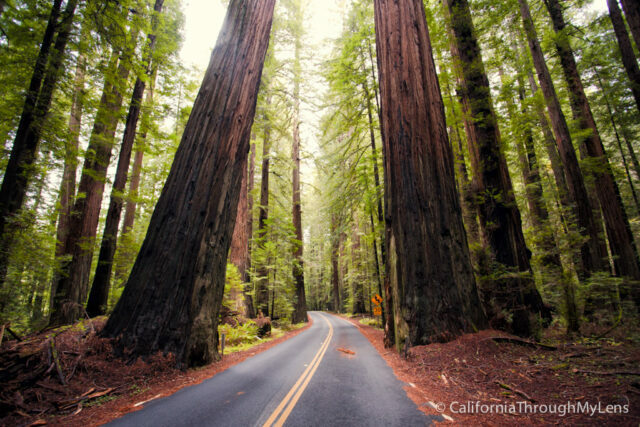 The 31-mile road called the Avenue of the Giants in Northern California is one of the best stretches of highway in all of California. I would put it next to Big Sur in terms of the beauty that you will pass as you drive. The greens, browns, and yellows will blow you away as you curve around the windy State Route 254 in search of your favorite grove. 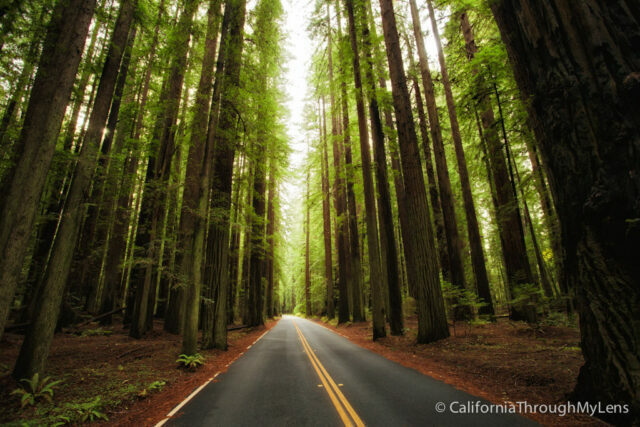 If you have not driven this road then you must add it to your bucket list, it is one of the best places in California. Here are my favorite stops on the Avenue of the Giants. If you are looking for a map, there is one right when you get off the freeway on the right-hand side. I recommend taking a picture of it so that you can reference it while driving. 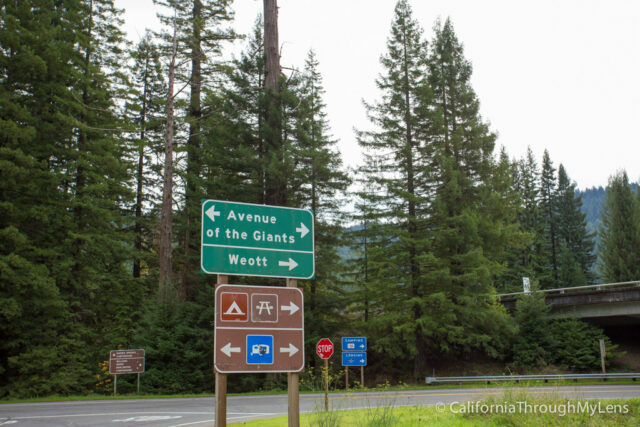 The Avenue of the Giants was the original stretch of Route 101 until a freeway bypass was created in 1960. After that time the road was given a new designation of Route 254 and maintained by the state. As for the park itself, it exists mostly because of a road trip three men took in 1917. 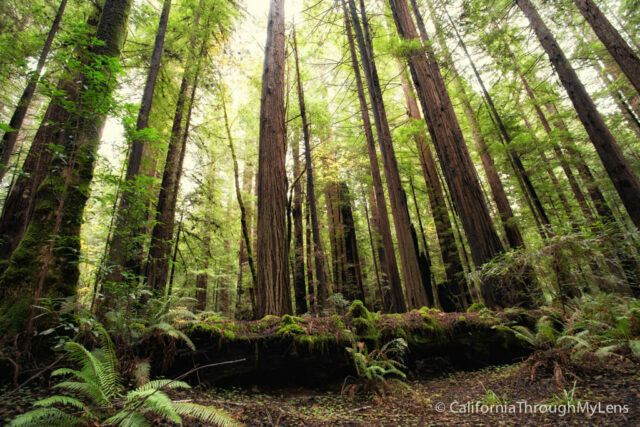 When they were driving through the area and witnessed the destruction of these mighty trees, they set up a movement to protect the area and turn it into a state park. 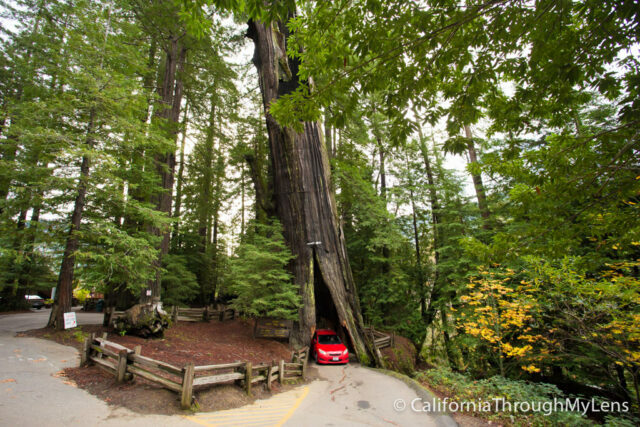 Thanks to their work, the Avenue of the Giants can still be enjoyed today. 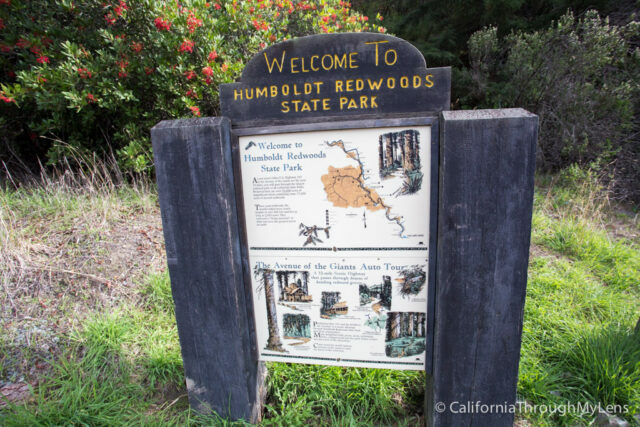 Right when you pull off the freeway for the start of the Avenue of the Giants you will see a sign on the side of the road with a map of the entire drive. I suggest taking a phone picture of it, so you know where you are. The road itself is one of the fantastic parts of this area as you will be bending around turns that lead to better and better views as you get deeper into the forest. 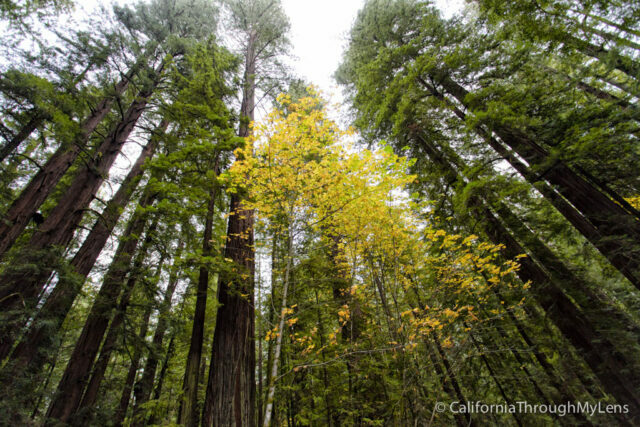 Views like the above shot are not uncommon in the Avenue of the Giants and every half-mile you will be passing a sign for another grove. About 10 miles into the drive you will see the Shine Drive Thru Tree on your left-hand side. This is $6 well spent if you have a family. The tree is very narrow to drive thru at around 7′ x 7′ but it is a lot of fun. Whats even more fun is all of the other attractions they have such as a “walk thru tree” for children, a tree you can drive onto and picnic benches for relaxing. Read more about it here. A few miles ahead of the drive-thru tree is the Williams Grove. This grove is majestic and is the perfect place for a picnic. When you drive in you will see a parking lot from which you can make your way into the grove and explore. There are trees to climb on, benches to sit at and beauty to gawk at. It is a beautiful taste of the forest, and I recommend it as a first stop as it gives you a taste of what’s in store before it even gets better. About 10 minutes down the road from the Williams Grove is the visitor center. There are bathrooms here, and I recommend heading in for a map so you can get to one of the harder to find spots I reference later in the post. If you want to ask them how to get to the Giant & Flatiron Tree that will help you later as it is not well marked from the main road. If you only have time to do one thing here make sure it is the Founders Grove. 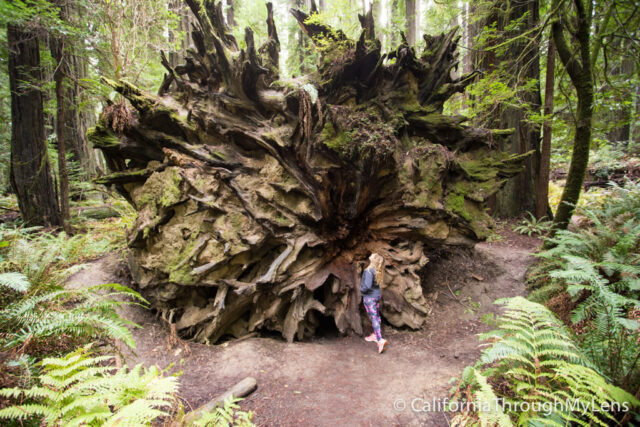 This place is an excellent taste of the Redwoods and has one of the most massive fallen trees I have seen in my life. When you see it it will give you a new perspective on how big these trees are; I was blown away. 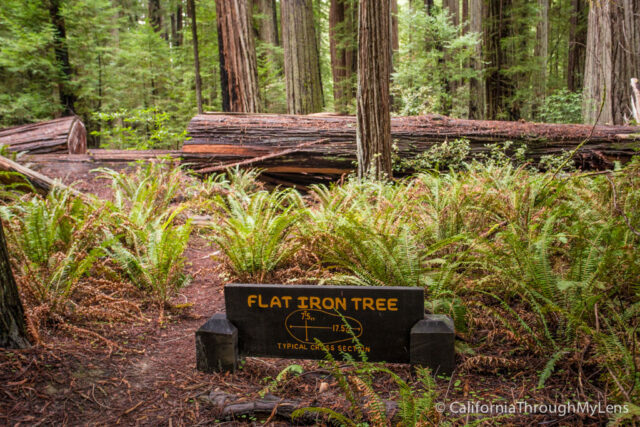 There is a half mile trail here which has interpretative numbers corresponding to an information booklet and is a great way to see the life cycle of these trees. There is also the massive Founders Tree right in the middle of the trail. Read about the Founders Grove here. As you will notice there are so many groves you can pull out at during this drive. I have not seen all of them but did a lot of research beforehand to visit the ones that I did. If you have more time, I would suggest stopping and checking out some of the other groves, as I am sure they are all great stops if they have been given an official name. If you have been to one that I left off, make sure to tell us about it in the comments. 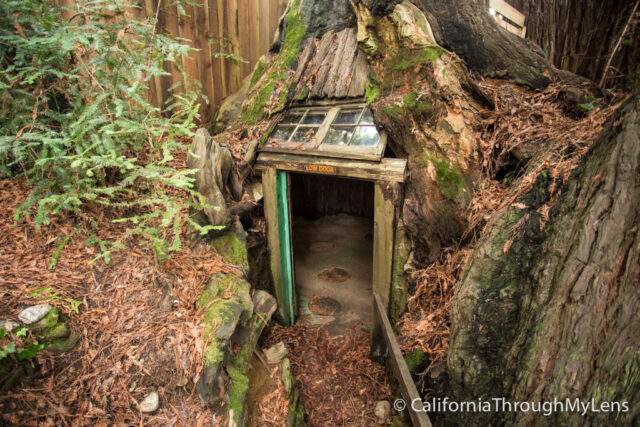 While it is not as exciting as the rest of the list, this little treehouse was created inside of a massive redwood. You can go into it even when the cafe is closed, and it is a fun 5 minute stop near the end of the road. Read more about it here. There are dozens of other groves to explore and trails to wander. You should plan on spending a full day or at least a half day here, so you do not have to be rushed. Pull out when your heart desires and marvel at this majestic place. The views you will see here will no doubt be with you for the rest of your life. If I left anything off, make sure to leave it in the comments.